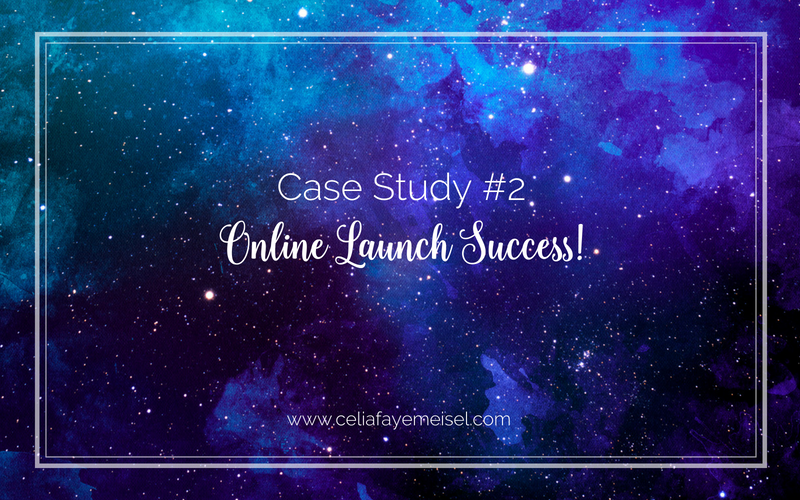 Case Study #2: Online Launch Success! I caught up with my private client, Susan, who I’ve had the joy of supporting in two programs in the last two years. During our first round of private coaching, in 2016, I supported her to create her first 10K cash month in her direct sales business while focusing on coming into full alignment & understanding of her Starborn origins and how that impacts her business. She rejoined my mastermind in late Dec. 2017 through May and she earned $15,000 in profits in her FIRST online launch – delivering her spiritual gifts into the world. Since her 15K launch, she did another $4,000+ in sales and is gearing up for an even bigger launch for the fall! Most of the work we did together was clearing “trickster” energy as she calls it, organizing her ideas and offers because she is a very gifted dreamer & visionary – I have a gift of guiding spiritual workers to anchor multidimensional realities into 3D through my unique alignment process. Results speak for themselves & I am so proud of this client and all of my clients who are doing their purposeful, magical work in the world!